Stop the demand for Biafra- Okorocha tells IPOB, MASSOB – Royal Times of Nigeria. 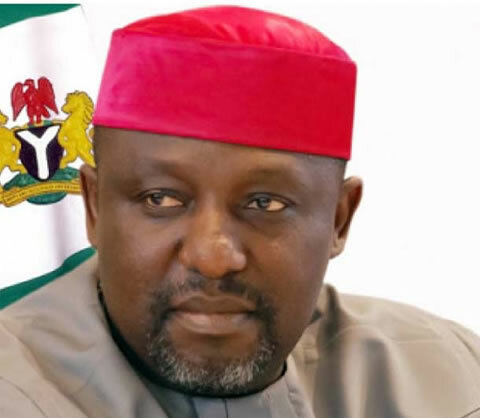 Governor Rochas Okorocha of Imo state has said the Igbos were not ready for another civil war and at such they should stop the demand for Biafra. Okorocha gave the advice at a news briefing at the Government House in Owerri on Tuesday, where he asked the Indigenous People of Biafra (IPOB) to desist from demanding for secession. He said the agitation should rather be for the economic advancement of Igbos. Governor Rochas said the recent sit-at-home ordered by IPOB and MASSOB succeeded mainly because the people, especially traders wanted to avoid trouble. He further said the ultimatum by Arewa youths urging Igbos to leave was “nonsensical and inciting’’, adding that no other ethnic group had contributed as much as the Igbos to Nigeria. He said; “We have failed as leaders hence the campaign of hate for one another; we need to take responsibility and end it. “We need to rise and take steps to end it and get rid of the inherent hatred and division we inherited from the colonial masters,”.